In this day and age being a business owner, property owner, or just a concerned business owner, you have enough to worry about, why put any thought at all into your roof? With millions in inventory, happy tenants, or whatever else might be under your roof, it needs to be secure and sound. At S&S Roofing, we are the most trusted local commercial roofing contractor serving New Jersey and the surrounding areas. We offer an extensive menu of services ranging from periodic inspections to full roof replacement. No matter the size of the job, S&S Roofing is equipped to handle the task. Not only do we provide the finest commercial roofing, we also offer residential roofing services as well. We approach every job with a heavy duty, built to last attitude, no matter how big or small it may be. For over 30 years now we have helped thousands of customers with their roofing issues and we plan on offering the same superior customer service for many more. 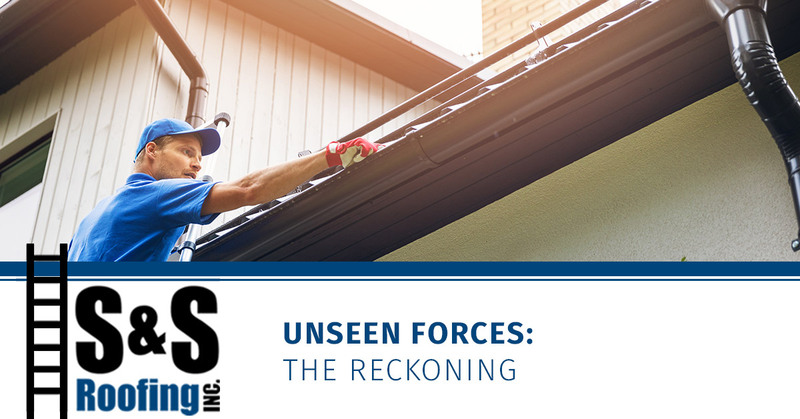 Last time we talked about some of the “unseen forces” that can damage your roof and cause massive damage if left untreated. We wanted to continue this discussion and touch on a few more threats to your commercial roof. We all love seeing wildlife, birds chirping, squirrels playing, and deer flocking in the meadow. As serene as this scene may be, we generally do not think a whole lot about the damage whildlife can do to a roof. Of course, if you ever see a deer on your roof, please send us a picture. One of the main culprits of roof damage is the ever-so-cute racoon. These masked marauders are responsible for thousands of dollars worth of roof damage a year and can single handedly take down an entire roof. It’s important to remember that these little critters do not mean any harm, they are just trying to find a warm place to live. Unfortunately this requires at bit of, ahem, excavation of the roofing materials. If you have a raccoon or squirrel problem it can seem like a never ending battle to keep them out of your roof infrastructure. They will find a weakness and exploit it. This is why regular inspections are so important to the integrity of your roof. If you catch a raccoon, squirrel, or rat infestation soon, there may still be time to avoid major damage. The best way to get rid of the pests is to call in a professional remover of critters, commonly known as an exterminator. They will come in, evaluate the situation and make a plan for removal. Most seasoned exterminators will attempt relocation over euthanization, so you really don’t have to worry about the wellbeing of the cuddly little interlopers. After removal it is critical to use a roofing contractor that is familiar with animal damage, like S&S Roofing. Once animals find their way into a structure they will continue to try unless the area is reinforced. We will make sure your roof is up to the task of repelling animal pests. Yeah, we talked about water last time, but it poses the most dangerous risk to your roof. The problem is not the water itself but drainage. With proper drainage, the water will shed from the roof very quickly, not allowing the moisture to collect. Depending on the roof configuration, there are many different ways for a roof to drain. There can be traditional gutters, drain lines, and runoff. As straightforward as the name my be, a flat roof is not flat at all. Many in the industry call it a low slope roof because it is actually gently angled to encourage drainage. If the drainage is blocked or the angles are compromised the water will pool and cause damage. Sitting water is the number one way to ruin a roof. At S&S Roofing we can repair and inspect the drainage on your roof, ensuring that your roof is not going to retain water. 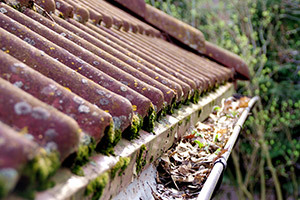 Neglect is a big reason that roofs are subject to failure. Not to say it is anyone’s fault but, generally, nobody thinks about their commercial roof until there is apparent damage, like the need to deploy a garrison of buckets during a rainstorm. As is the nature of things, the more time passes without regular maintenance, the worse off your roof will be. After all, you would not neglect to change your oil in your car would you? Of course not! That is why S&S Roofing offers a comprehensive inspection schedule. We can make it easy for you to forget about your commercial roof, without the undesirable consequences. If your roof has damage, invading critters, or just needs a bit of attention, contact the experts at S&S Roofing. We look forward to working with you and as always, thank you for your business.